It is that time of the year again and we can't wait to celebrate this successful program, catch up with our old friends, and make new connections! 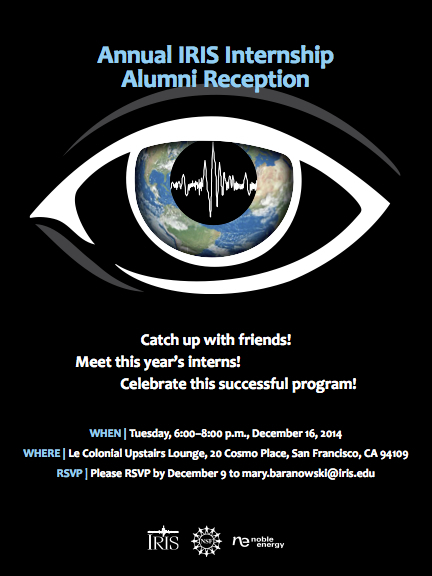 Looking forward to seeing both intern and mentor alumni of the program during AGU! The event is located only a few short blocks from the AGU meeting. Don't miss out! If you are at AGU but can't make the receiption here is a listing of the 2014 intern AGU papers. Please stop by, see their work, and introduce yourself!